If you find it difficult to get your customer to stop telling you the story of just how inconvenienced they were, or are, and to stop rambling on about the problem, it’s likely because the customer is stuck in the past. You’re going to have to reframe the issue in the customer’s mind. That is, you must strategically move your customer out of a past problem to a focus on the present so that you can offer a solution. Your job, in essence, is to get the customer to move on. Reframing statements are fantastic in getting the customer to move forward. Reframing does two things for you. First, it acknowledges your customer’s biggest concern. You empathize. Secondly, it ushers in the solution phase of problem resolution. Here are seven reframing statements that recognize customer concern and help customers move on. These seven statements are from my How to Handle Difficult Customers eLearning course. 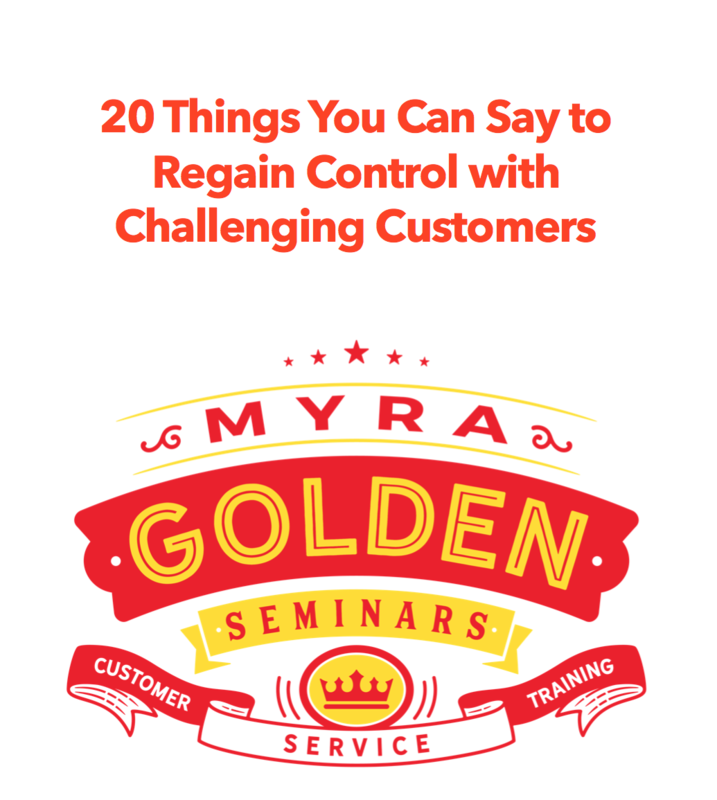 This course focuses on de-escalation and putting you in control of the interaction.